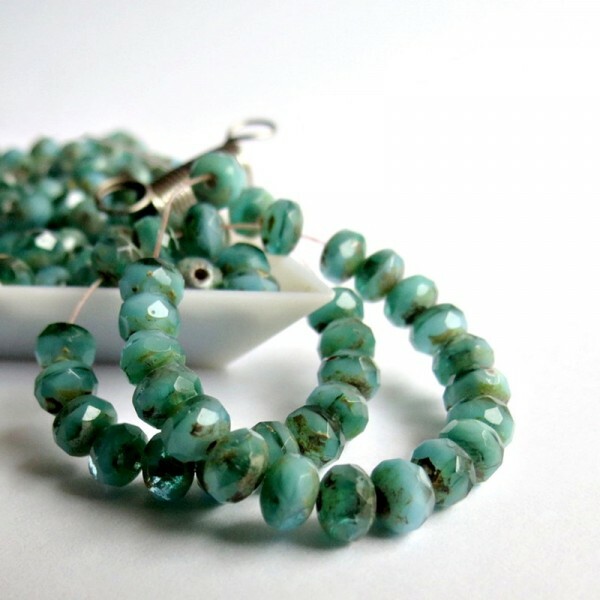 > Firepolished beads>Rondelles 5 mm>Czech glass beads fire polished rondelles, mint green picasso, 5mm, 80 pcs. 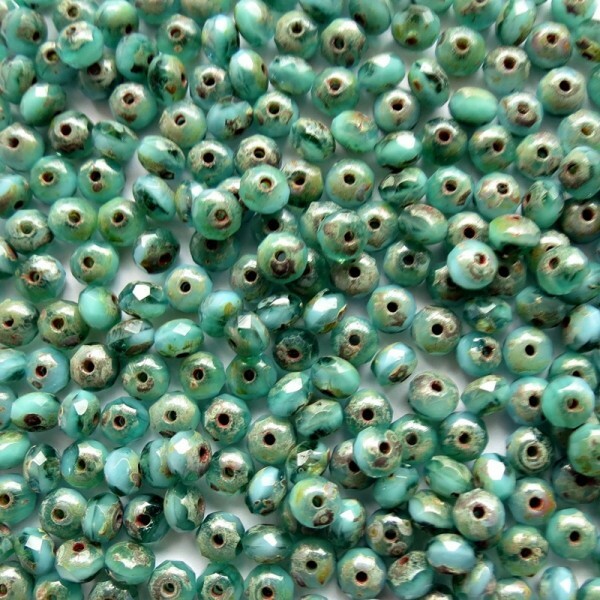 Czech glass beads fire polished rondelles, mint green picasso, 5mm, 80 pcs. 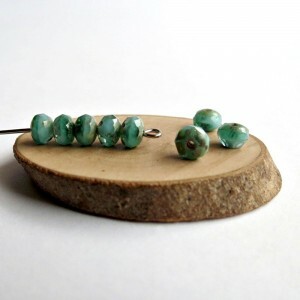 Czech glass beads fire polished gemstone opaque dark mint green donuts with picasso coating.